The 2018 American Wine Society Annual Meetings took take place in Buffalo, New York State, from November 1 to 3, 2018. More than 500 members from all over the USA came to this 3-day event, filled with tastings, seminars and presentations. 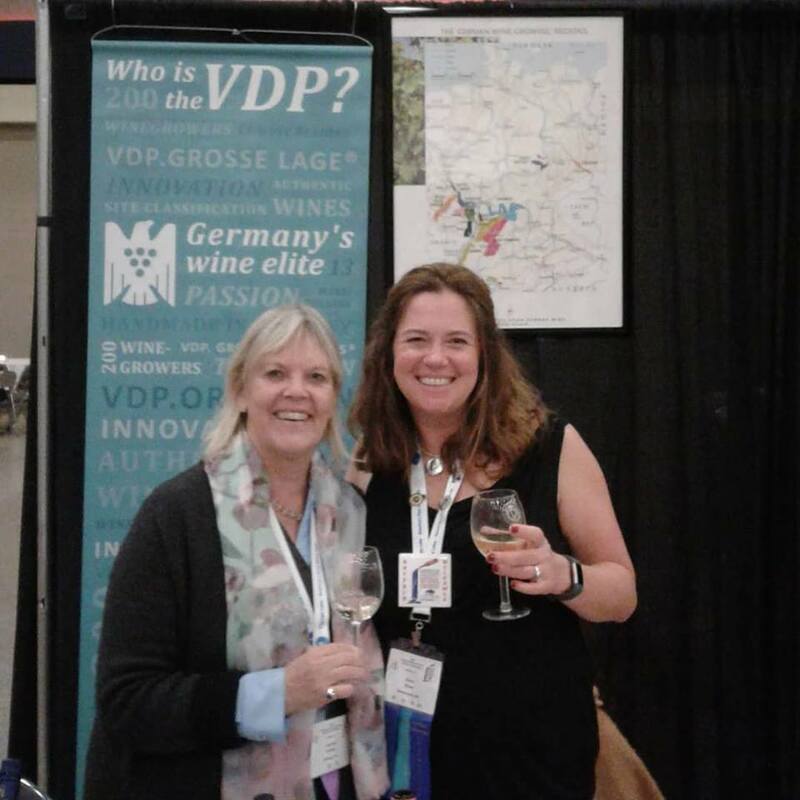 This posting covers the German Wine Tasting at the 2018 Annual Meetings of the American Wine Society. This is the second in a series of postings related to the American Wine Society National Conference 2018 in Buffalo, New York State. The VDP (Verband Deutscher Prädikatsweingüter) is the oldest association of wine estates in the world. In fact, it is the only one of its kind worldwide. No other country has a national organization of the top wine makers of the entire country. Although many people think that there is only one wine classification system in Germany – the classification system of the Law of 1971 – this is not correct. 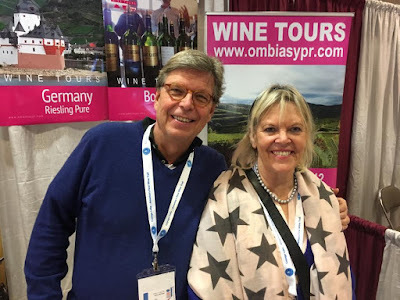 True, the classification system of the Law of 1971 is the standard classification system in Germany and many winemakers in Germany use this approach. Increasingly, however, German wine producers are moving away from the standard, in particular the producers of premium wines in Germany. Importantly, the members of the VDP, the association of about 200 elite winemakers in Germany, have all converted to the new classification. On the other axis, you find the sweetness levels: Trocken, Kabinett, Spätlese, Auslese, Beerenauslese and Trockenbeerenauslese as well as Eiswein. Please note that in the new VDP classification system the Prädikats have lost their critical importance that they have in the traditional classification system of 1971 and that they have changed their meaning. In the VDP classification system, they have become an indicator for the sweetness range of the finished wine, while in the traditional classification they are an indicator of the sugar content of the grapes at harvest. Generally, in the new VDP classification system, the Prädikats are to be used exclusively for wines with residual sweetness, “thereby enabling the Prädikats to resume their traditional meaning”, as stated by the VDP. A dry wine from a VDP.Grosse Lage is designated VDP.Grosses Gewächs and labeled Qualitätswein Trocken. A Grosses Gewächs wine is an ultra premium dry wine made from a Grosse Lage vineyard. A dry wine from a VDP.Erste Lage is labeled Qualitätswein trocken. Note that there is no “VDP.Erstes Gewächs” designation. First: Use of the Prädikats Kabinett, Spätlese and Auslese only for fruity-sweet wines - As a major innovation, the VDP members have dropped the traditional Prädikats for dry wine. Only wines that have a noticeable level of sweetness carry the traditional Prädikats like Kabinett, Spätlese or Auslese. Thus, if you see Spätlese on the label of a VDP member wine, you can be sure that it is a fruity-sweet Spätlese. “Spaetlese Trocken” or “Kabinett Trocken” does not exist anymore among the VDP members. If you still find it - and you may indeed find it on the shelves - it is due to the number of exceptions which are in force for the transition period. Second: The Prädikats Kabinett, Spätlese and Auslese no longer indicator of ripeness at harvest, but indicator for sweetness of the finished wines - In the 1971 Classification, the Prädikats Kabinett, Spaetlese and Auslese are an indicator of ripeness at harvest. Thus, for instance, you can have a fruity-sweet Spätlese and a dry Spaetlese. In the VDP classification, the Prädikats Kabinett, Spaetlese and Auslese are an indicator of sweetness of the finished wine (and not of the ripeness at harvest). 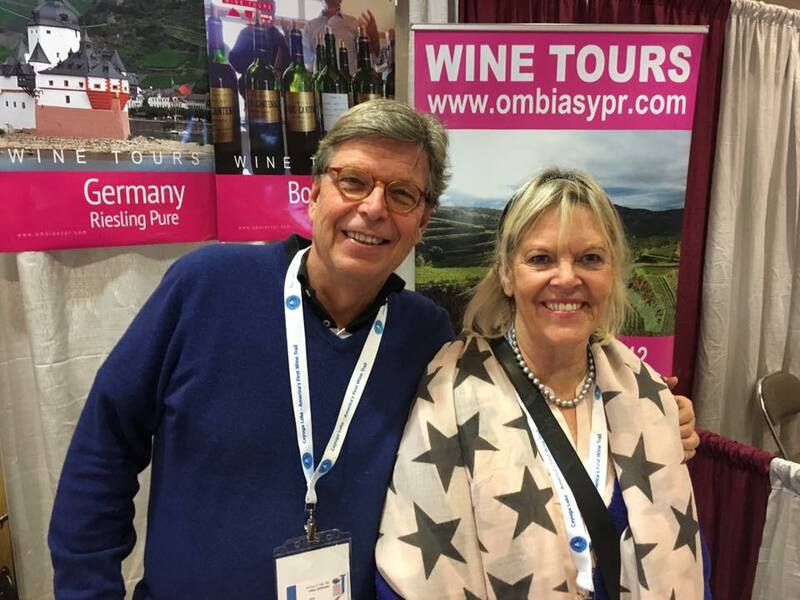 Third: All dry wines up to the highest quality level labeled Qualitätswein Trocken - All dry wines up to the highest quality level – the Grosses Gewächs wines from a Grosse Lage vineyard – are labeled Qualitaetswein (QbA) Trocken. A wine made from grapes harvested at Spätlese level and fully fermented to complete dryness, for example, is marketed as QbA wine. And the level of quality would be indicated by the terroir concept (Gutswein, Ortswein, Erste Lage, Grosse Lage). This of course does not make it easier for wine consumers to read and understand German wine labels, because the Qualitätswein denomination has a completely different meaning in the standard classification system. There, it indicates that this wine is an entry-level wine of basic quality. In the VDP classification, Qualitätswein does not mean anything, as in the VDP system even the ultra-premium dry wines are labeled as a QbA. Fourth: Grosses Gewaechs ultra-premium dry wine - The dry counterpart of the fruity-sweet Spätlese and Auslese wines of the VDP are the dry Grosses Gewächs wines. These are ‘Grand Cru” wines made from grapes from a Grosse Lage vineyard, harvested at Spätlese or Auslese level in terms of sugar content and fully fermented so that they become dry. The Grosse Gewächs label is thought to resemble the Grand Cru designation in neighboring France. Here and there, these wines are dry. Obviously, the Grosses Gewächs label has become obsolete. Grosse Lage Trocken says it all. You do not need the predicate Grosses Gewächs. But the Grosses Gewächs label is well established in the market and recognized by wine consumers.